Professionalism, experience, quality and agility are only a few of the qualities that contribute to the dynamics of our organization. Discover the entire Normandia story. Normandia is an industrial services company founded in 1992 in Brașov, specialised in industrial assembly and installation works, electrical installations, maintenance and industrial removals and relocation. 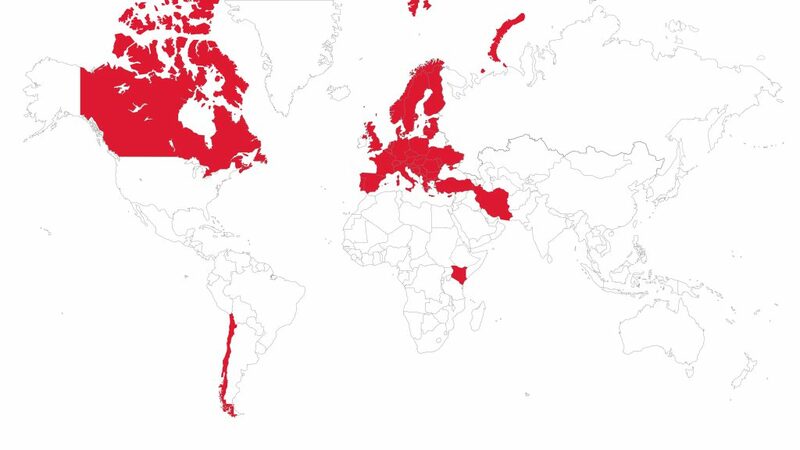 Our teams intervene in most of the European countries as well as on other continents. Chart of Normandia Projects in the world. industrial relocation: individual machinery or entire production facility. 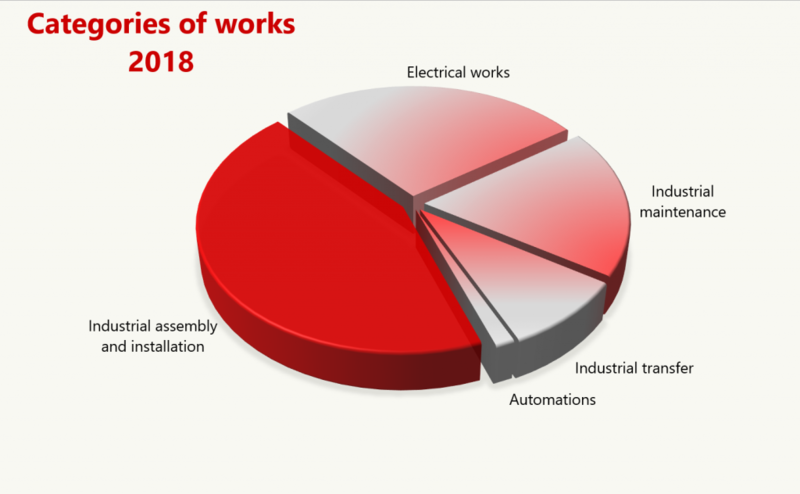 Considering the total value of 205 projects completed in 2018, the assembly and installation works lie in front of the works categories performed by Normandia. The results we achieved and the successful partnerships established during our 27 years of activity were made possible by our teams of professionals. In the last years Normandia registered a constant increase in its turnover. We foresee the same ascending trend for the years to come. With the constant development of the company, we also extended our teams of professionals. Thus, the number of Normandia’s employees increased from 39 in 2015 to 120 in 2018. Normandia invests in the development of its specialists and in the diversification of its services. Normandia is certified as service provider by the Romanian Energy Regulatory Authority (ANRE) and is certified and applies a Quality Management System according to ISO 9001:2015 standard.